CurbNinja celebrates Ride To Work Day by opening up in Washington D.C. The 25th Annual Motorcycle and Scooter Ride to Work Day on Monday, June 20, more than one million two-wheeled, moto-commuters will demonstrate the benefits of riding, such as reduced road congestion, shorter commute times, and less fuel consumption. According to the Ride for Work non-profit, more than 100 American cities formally recognize Ride to Work Day by proclamation, and rider’s club around the world encourage their members to participate. The Federal Department of Transportation and U.S. Census Bureau estimate that more than 80 million cars and light trucks are used for daily commuting while only about 200,000 motorcycles are scooters are on the commuter roads. In conjunction with 2016 Motorcycle and Scooter “Ride to Work Day,” CurbNinja is excited to announce the launch of its mobile parking app for motorcycle and scooter riders in Washington, D.C.
Finding safe and reliable parking in urban areas can be challenging for motorbikes (motorcycles and scooters). CurbNinja solves that problem. 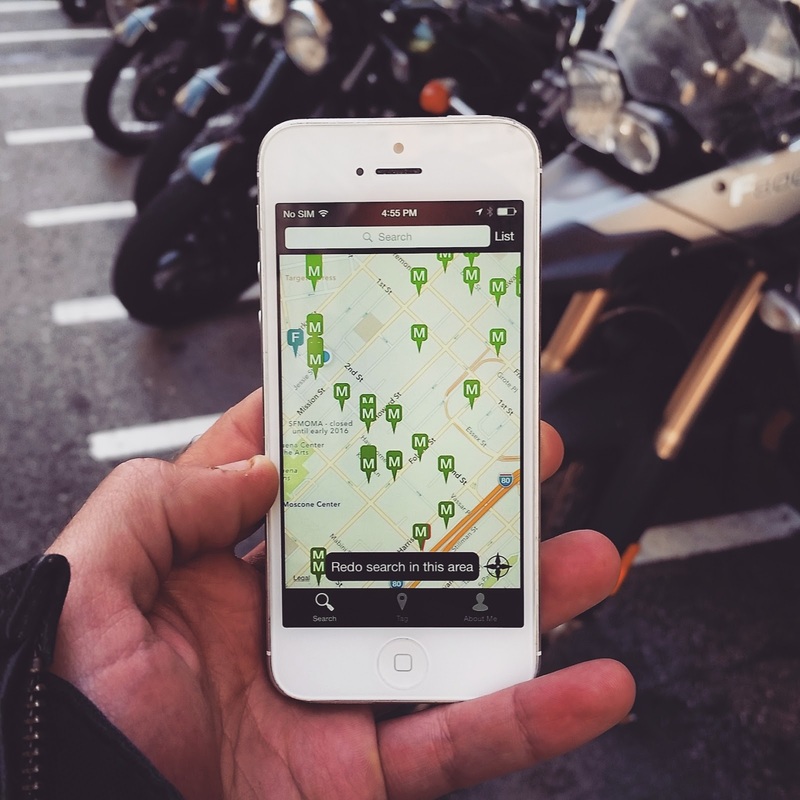 Designed by motorbikers, the app maintains an inventory of parking spots specific for motorbikes, including metered and free spots as well as businesses that cater to urban riders. CurbNinja, which launched in 2015, has more nearly 6000 parking spaces in more than a dozen cities in the U.S. and Canada including San Francisco, Las Vegas, Chicago, Toronto, and Philadelphia. Originally launched in limited beta, CurbNinja now features fully-native iOS and Android apps with a streamlined UX and improved functionality. The new apps allow users to search for and share street parking spots in their city in both map and list view. Each parking spot listing is complete with a photo, restrictions and a description; all details of which are fully editable by users. For metered spots, the listing also includes hours of operation and rates. All spots are locatable by the user’s current location or destination and navigable by the app’s driving directions. In addition to improved features, CurbNinja has added business listings in the search functionality allowing users to find motorbiker-friendly businesses nearby like repair shops, parts stores, mechanics and restaurants. Enhanced business listings, for which companies pay a monthly subscription fee, include photos, descriptions, website links, and phone numbers for quick reference by users.